IBERICO HAM : Recommandation d'un expert | par ENRIQUE TOMAS ®. We love Jamón and we are experts at it, but although we're proud of the range of products we offer, we have a few favourites we want to talk to you about. In the new section "The recommendations of Enrique Tomás" you will find a personal selection that we have made, always thinking of surprising you with the best Jamón Ibérico and original products that will surprise even the most demanding palates. 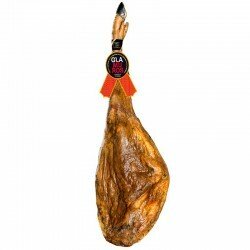 In Enrique Tomás we want to bring the best Jamón in the world to all homes and that is why we offer from practical sliced ham in vacuum-packed bags to tasting boxes with gourmet products. Well, in spite of the very high quality of all the formats we have available, we would like to tell you, according to our criteria, which are those products that you can't do without, with which Jamón you shall start to know the world of Iberian cured meats, with which Paleta-(ham shoulder) you will offer a good gift or with which type of slices you will keep your whole family happy. This selection will be updated according to the point of production of each product, so everything you will find in "The recommendations of Enrique Tomás" will be what we like the most about each lot we receive. Products with Spanish character 100% gourmet, the most sold and valued by our users and finally the products that we consider offer an unbeatable value for money. Sliced meats: different types of Jamón, ham shoulder and cry-cured sausages cut with a knife by master ham artisans and vacuum packed for you to enjoy them in a comfortable and practical way. Make your sandwiches, a plate for tapas or take them with you in your carry-on luggage when you travel. Whole pieces: Hams and ham shoulders that will make your mouth watery as soon as you take them out of their packaging. Selected products, pampered by the chefs and cured in bodegas-cellars, under the techniques that give each piece its flavour and unique character. Packs: Selection within the selection. 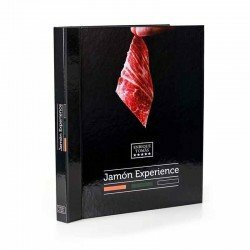 We have already said that we like jamón and we like that everyone can enjoy it, either in the packs, tasting boxes and experiences as with ham that we have designed for our customers, in "The recommendations of Enrique Tomás" you will find only those that we consider appropriate to the time and the needs of this latter. A wonder of products to give away or spoil yourself without regrets.